Nine-time World Rally champion Sebastien Loeb has warned that everything will be new to him when he competes for Hyundai for the first time on this weekend's Monte Carlo Rally. Loeb will make his first start in a Hyundai i20 on the WRC season opener, and has faced a hectic build-up to the rally. He and co-driver Daniel Elena flew out of Peru hours after finishing the Dakar Rally last Thursday, landing in Europe in time to drive to Hyundai's final Monte test in the French Alps on Saturday. 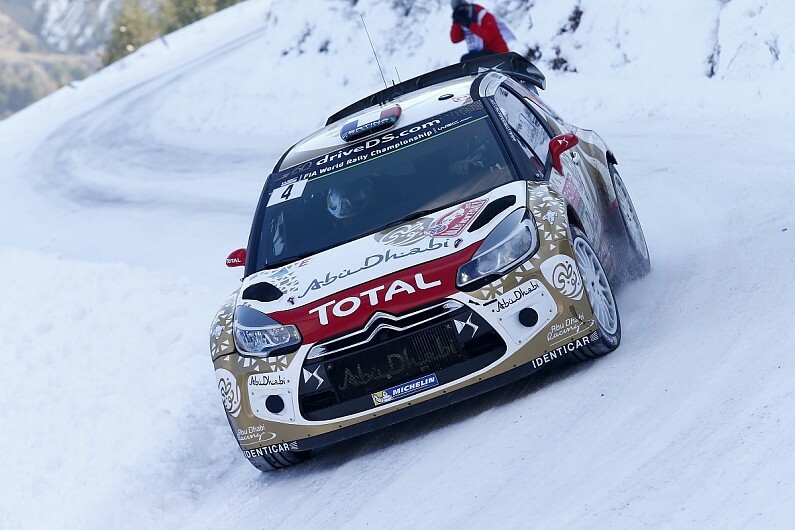 Loeb began testing at the Col du Noyer to the north of Gap, taking over from team-mate Andreas Mikkelsen in snow conditions, and spent Sunday further south - close to Aix-en-Provence - on dry roads with patches of ice. The 44-year-old, who completed almost 200 miles of testing, stayed with Hyundai in Nice on Sunday, and has spent the past two days in Gap ahead of Thursday morning's shakedown and the first two stages of 2019 that evening. "Starting with Monte Carlo is going to be tricky," said Loeb, who has won the rally seven times but has not contested it since 2015, told Autosport. "It's an event where I have been quite successful in the past, but this year it's a completely new challenge with a new team, a new car and I only know the uphill section of the Col de Turini from this year's itinerary. "I have 10 kilometres of pacenotes that I can use from the past - everything else is new, which also makes it more exciting. "Discovering a new team and a new car is something I haven't really done before, but we had a productive test. "I drove for the first time a World Rally Car which is different from what I drove in the past, but it's probably too early to really compare [the cars]. "What I can say is that the i20 is nice to drive, we had a really good feeling trying different things and making the most of the little time we have to prepare for the rally." Loeb will contest six events this season and has vowed to support team leader Thierry Neuville's title bid, but said he wants to add to his tally of 79 WRC wins. "I did three rallies last year and won one of them," he said. "I hope I will get quickly used to the i20 Coupe WRC and be able to show competitive pace - and perhaps even be in the hunt for first place." Hyundai's WRC boss Andrea Adamo was pleased with Loeb's initial mileage, adding: "Sebastien was able to understand the behaviour of the car, he said it was easy to drive and he was happy the car gave him confidence. "I saw happy faces at the end of the test. I'm not a fortune teller, so I can't tell you the result, but I hope he can enjoy his first rally. "Normally when you enjoy it, you are fast."